Jeffrey Greenman is a solo practitioner at Greenman Law P.C. in Newport Beach, CA. 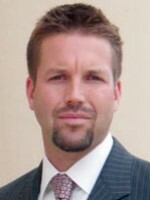 He specializes in catastrophic personal injury and medical malpractice cases. He is a third-generation attorney. He graduated from the University of Washington and Chapman University School of Law, has been a CAALA member since 2007, and was the first-ever recipient of CAALA’s “Rising Star” award in 2012. That year he was also nominated for CAALA Trial Lawyer of the Year.